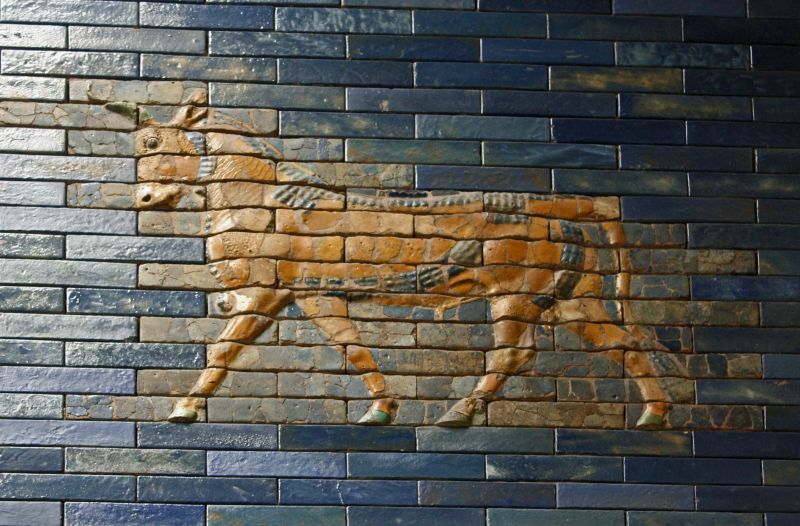 Dedicated to the Babylonian goddess Ishtar, the gate was constructed using glazed brick with alternating rows of bas-relief mušḫuššu (dragons) and aurochs, symbolizing the gods Marduk and Adad respectively. 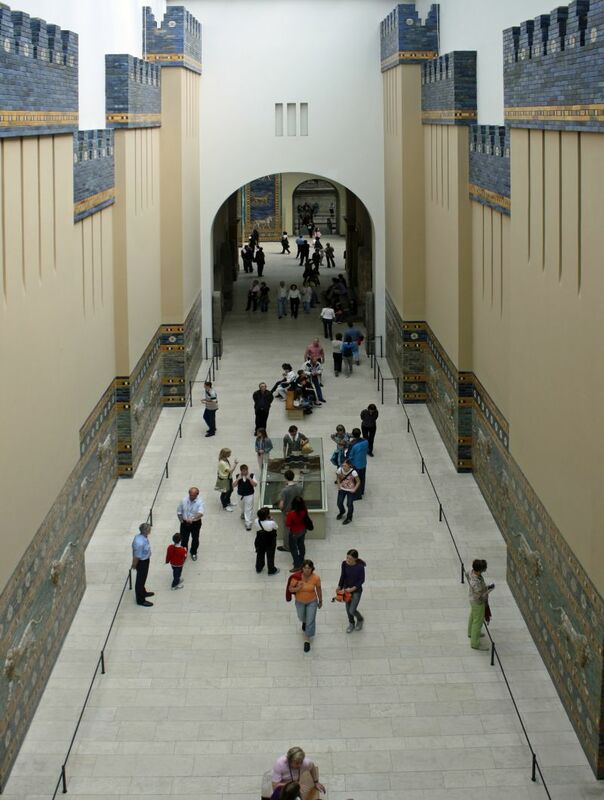 The roof and doors of the gate were of cedar, according to the dedication plaque. 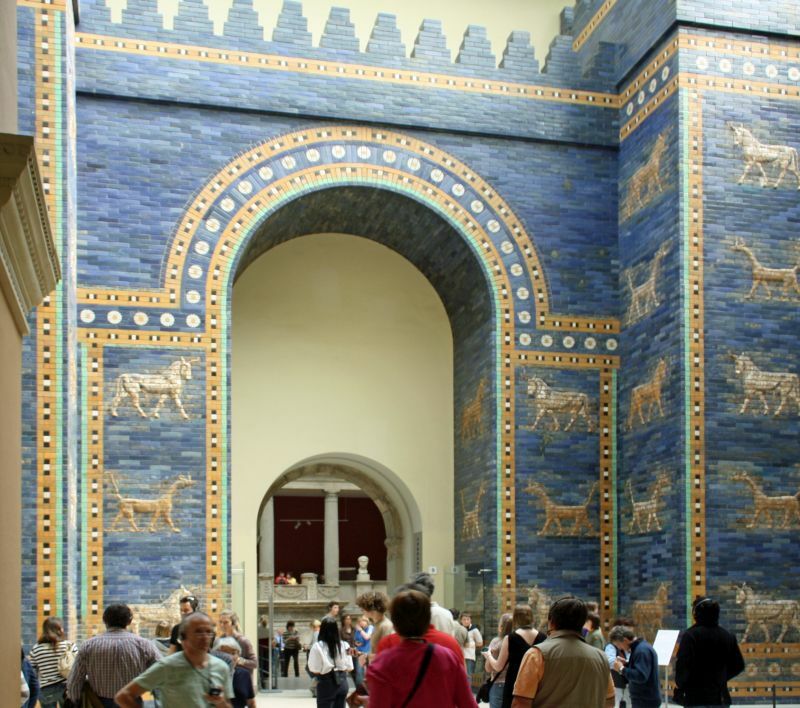 The gate was covered in lapis lazuli, a deep-blue semi-precious stone that was revered in antiquity due to its vibrancy. 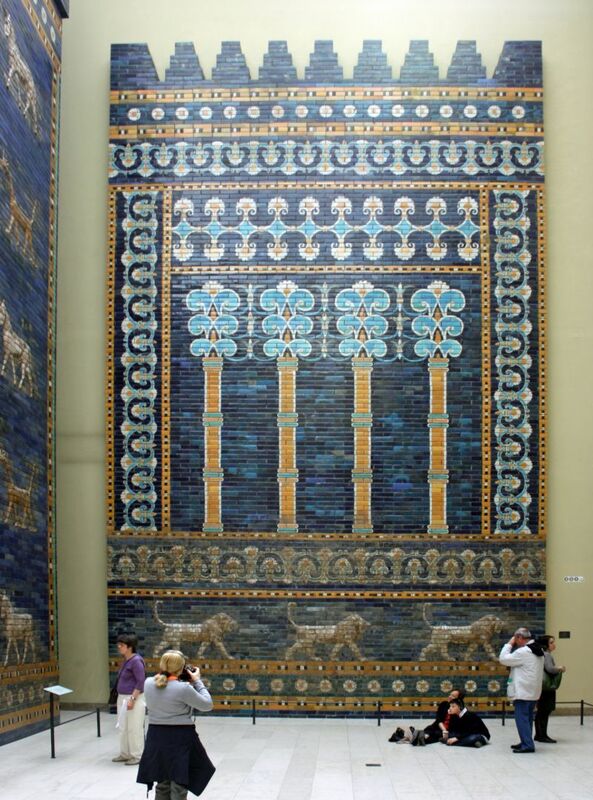 These blue glazed bricks would have given the façade a jewel-like shine. 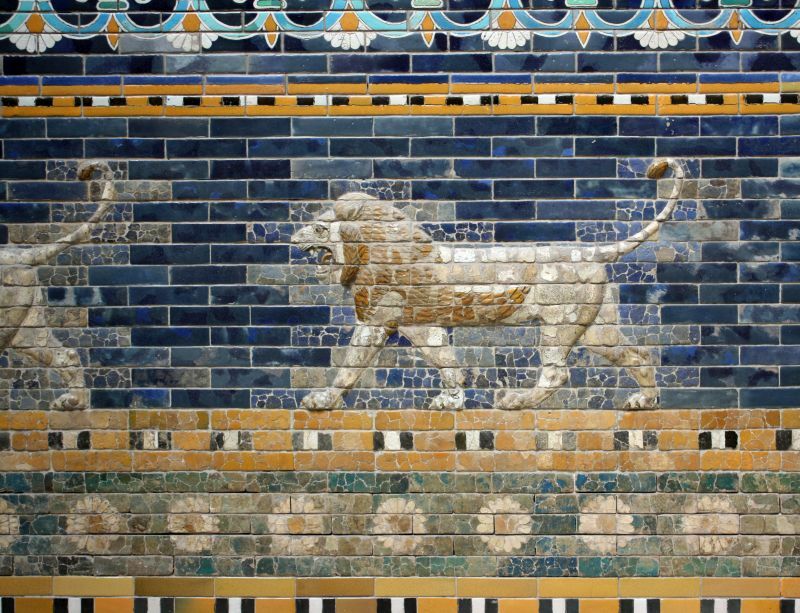 Through the gate ran the Processional Way, which was lined with walls showing about 120 lions, bulls, dragons and flowers on enameled yellow and black glazed bricks, symbolizing the goddess Ishtar. 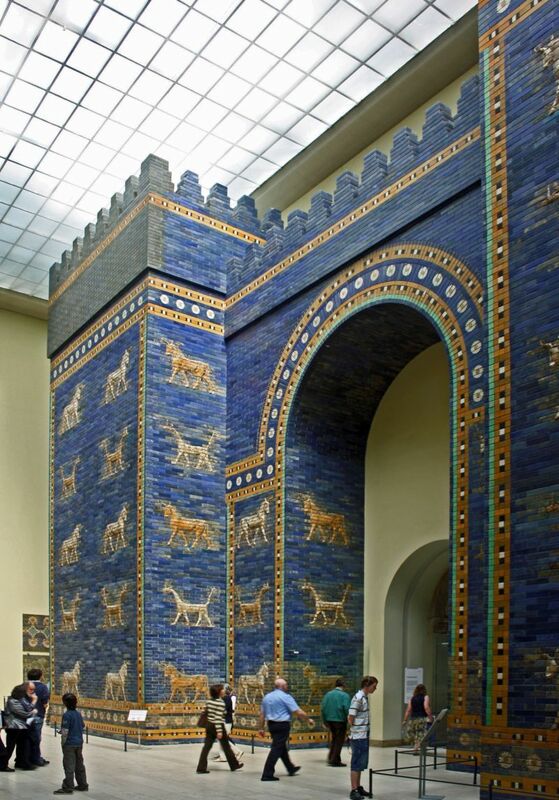 The gate itself depicted only gods and goddesses. 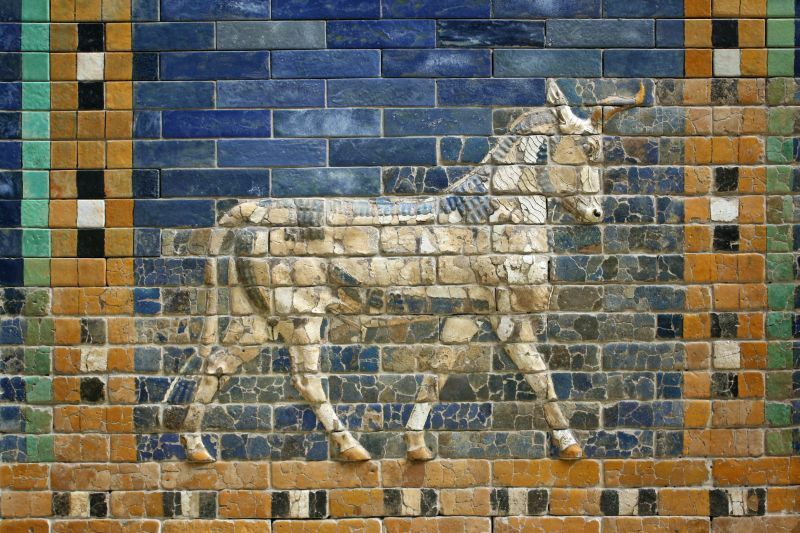 These included Ishtar, Adad and Marduk. During celebrations of the New Year, statues of the deities were paraded through the gate and down the Processional Way. 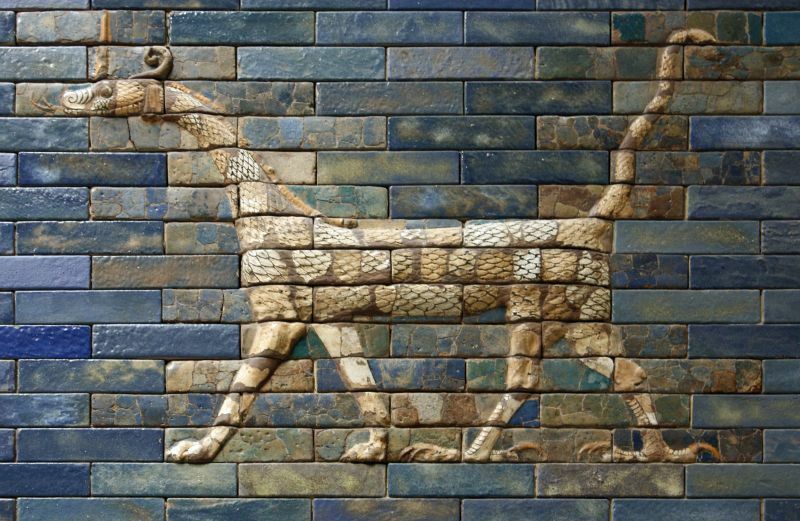 The gate, being part of the Walls of Babylon, was considered one of the original Seven Wonders of the World.